American Flooring Removal is the top choice for flooring removal. We are hands-down the cleanest, fastest, most affordable, and most versatile option for removing your old floor and prepping your site for the installation of your new floor. American Flooring Removal utilizes a dust-free flooring removal system. Our specialty equipment is top of the line and state-of-the-art. The equipment we use does not require installation of plastic room containment systems, which sets it apart from all other types of traditional flooring removal work. The difference shows itself in how our equipment functions. By suctioning the dust directly from the flooring as it is removed, our equipment prevents this dust from ever becoming airborne. Because airborne dust has always been one of the major concerns with flooring removal, replacement, and renovation projects, our specialized technology and dust-free equipment is cleaner and more environmentally friendly than traditional flooring removal. Our equipment is also faster than traditional flooring removal processes. Minimizing the infamous preparation work before removing the floor is just one of the factors that make our system faster and more efficient. Our equipment is stronger and more durable than other flooring removal technologies, which means the actual work of removing the flooring goes faster. Cleanup after the flooring is broken up and removed is also a breeze. The lack of airborne dust and debris means projects can move forward in less time, bringing our clients into the installation phase of their renovation. Our equipment also leaves behind a flatter and cleaner flooring subsurface. This means there is less preparation work needed on the actual flooring base material before the new flooring can be installed. Utilizing a cleaner, faster, more efficient set of equipment in the first stage of removal and renovation saves time and money across the life of the project. 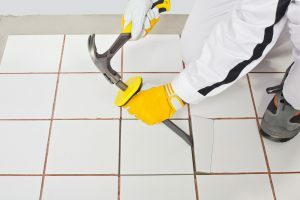 By removing the extra effort of putting up plastic dust-containment room dividers, dust and debris cleanup, and flattening and preparing the flooring subsurface, our clients can save more money and save more time to enjoy the end results of their flooring project with family, friends, or customers. What kinds of flooring can we ? The versatility of our system and equipment makes us the ideal choice for a variety of business and residential flooring removal projects. Hospitals and medical clinics can count on American Flooring Removal to provide a dust-free, healthcare-environment friendly solution to flooring removal. Businesses and commercial office buildings can rely on us to provide efficient and economical results. Schools and educational facilities can be assured of American Flooring Removal’s devotion to quality and efficiency while paying detailed attention to budget needs. 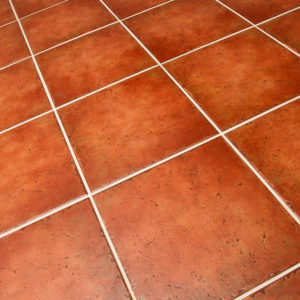 Homeowners will appreciate the affordability and clean results we provide in their flooring removal projects. American Flooring Removal’s equipment is a fresh take on an old hassle. Instead of the harmful dust and debris from removing floors, clients are left with a cleaner, dust-free room or building. They can move forward into the replacement and installation stage of their project quickly. With our state-of-the-art technology, affordable dust-free flooring removal is not out of reach. Call us or Contact us to schedule a consultation or quote today!